Scottish Labour have announced their list candidates rankings for May’s Holyrood elections. With the election taking place through Additional Member System (AMS), there are two types of candidate, constituency and list. 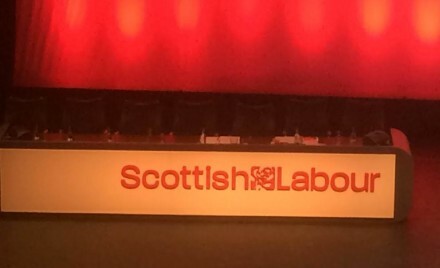 Given current polling, and the near wipeout in last year’s general election, it is expected that the vast majority, if not all, of Labour’s MSPs come May will be elected via the the lists. The candidate shortlist was announced in December, and was the largest ever for the party – with 106 people competing for the 56 places. Party members finished voting earlier this week, and the full results were officially announced today. Turnout was 62%. Under new reforms brought in by former Scottish Labour leader Jim Murphy, only the leader Kezia Dugdale and deputy Alex Rowley have places secured at the top of their region’s list. Each regional lists is also ‘zipped’ along gender lines, to try and ensure a more equal gender representation. Notable names topped their lists: former deputy leader Anas Sarwar pipped Johann Lamont in Glasgow, former leader Iain Gray did so in South Scotland, and shadow minister Jackie Baillie and Jenny Marra got first place in West Scotland and North East Scotland respectively. “At the start of this process I said I wanted to encourage as many people as possible to join our movement so we can change our country. I am absolutely delighted with the talented group of people who have been selected as Scottish Labour candidates. From experienced MSPs to new young candidates, from former teachers to trade union officials, and from small business owners to charity workers – this is an impressive list of candidates.